Viewing a lack of direction in the U.S. human spaceflight program, the Mars Society launched the International Gemini Mars Design Competition in August 2015 in an effort to provide focus and encourage a serious humans-to-Mars initiative. The new contest invited U.S. and international engineering students to create a plan for a two-person Mars flyby mission that could be placed on the desk of the President-elect in November 2016 and completed by the end of his or her second term in office. Following the announcement, 19 student teams from around the world entered the Gemini Mars competition. Of these, ten teams, representing over 20 universities from seven countries (Australia, Italy, Japan, Poland, Russia, the United States and the United Kingdom) have now been selected to participate in the final round of the contest. To download a complete list of the remaining competitors, please click here. 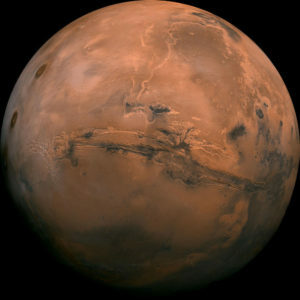 The ten finalists have been invited to present their design proposals in person and in public before a group of judges drawn from NASA, the aerospace industry and the Mars Society during the 19th Annual International Mars Society Convention, scheduled for September 22-25, 2016 at the Catholic University of America in Washington, D.C. The Gemini Mars mission has some similarities to the previously proposed Inspiration Mars initiative, but eliminates its principle weakness by avoiding the requirement to use a rarely employed high energy trajectory that imposed excessive technology development, launch capacity and schedule demands on the mission. Instead much easier and more frequently employable low energy trajectories are allowed, with the central goal being to enable a two-person Mars flyby mission that can be launched no later than 2024 as cheaply, safely and simply as possible. All other design variables are open. Contest registration was open to teams of engineering students from universities anywhere in the world, with the team offering the best design receiving a $10,000 prize, with awards of $5,000, $3,000, $2,000 and $1,000 going to the second, third, fourth, and fifth place contestants, respectively. The winners will be announced at the Mars Society conference banquet on the evening of Saturday, September 24th. Congratulations to all the finalists, and good luck in Washington!